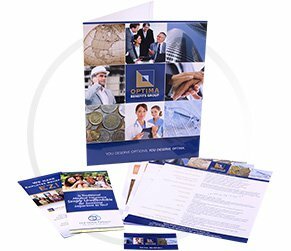 custom printed pocket folders of every kind, including presentation folders with fasteners. 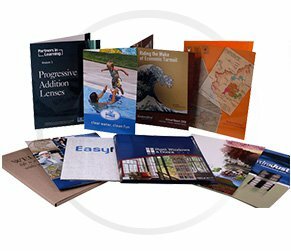 We have hundreds of folder styles, sizes and pocket capacities to fit your needs. 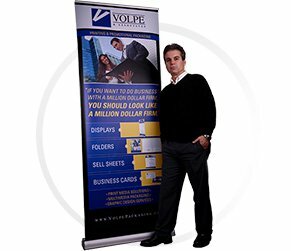 easy to carry trade show or presentation banner with your logo and images - goes anywhere, sets up in 30 seconds, and tears down in no time. 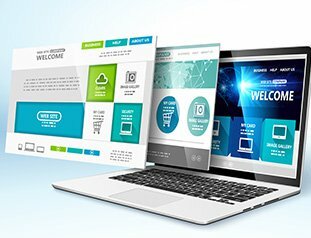 Comes with a sturdy canvas carry case complete with shoulder strap and zipper closure. 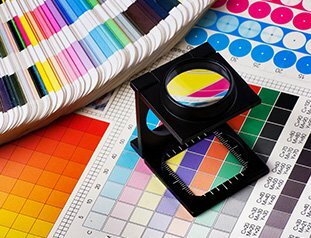 custom printed brochures using both offset or digital printing technology. 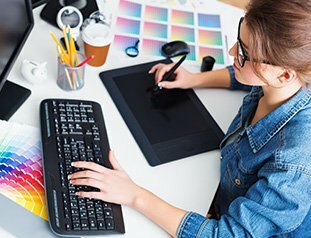 Unlimited paper and die cutting options. 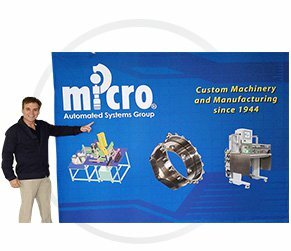 custom business cards delivered factory direct to you at amazing prices. 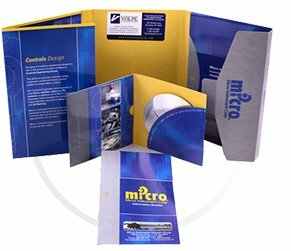 custom printed lightweight paperboard and laminated paperboard wrapped to corrugate for extra strength, or clear, natural printed poly. 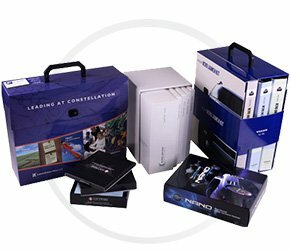 customized packages to present a wide variety of multi media products including CD/DVD, books, tapes, etc. 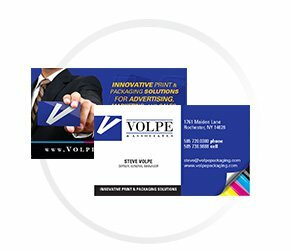 Volpe & Associates offers offset and digital printing; custom design services; latest packaging materials; large format capabilities; archiving of your files for quick reprint and editing needs; quick, accurate proofs; and discount packages. 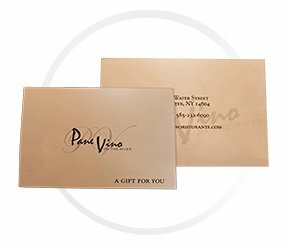 Custom packaging solutions, products and services are available to you through Volpe & Associates. 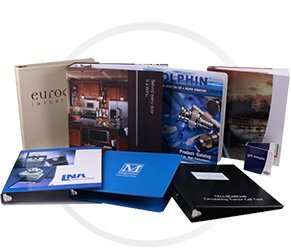 Our custom packaging solutions includes our famous film laminated folders & custom printed folders, custom vinyl products including custom vinyl binders, custom leather binders, CD mailers, marketing kits, counter displays and more.